SKU: deep-rest. Category: CD Downloads. Tags: CDs, flute, guided meditation, meditation, relaxation, rest, sleep, Yoga Nidra. 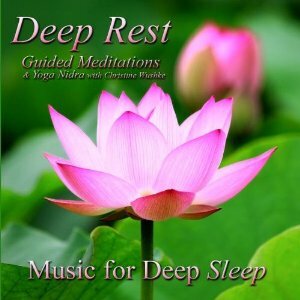 Inner Splendor Media is pleased to present Music for Deep Sleep – Pure, powerful and effective tools for achieving true rest. In this day and age, simplicity is the best and we go right into the source, providing high quality audio content that will allow you to experience peace and tranquility. This CD combines Christine Wushke’s celebrated guided meditations with Vivek Sonar’s classical indian flute and the soothing sound of ocean waves lapping at the shore. More than two and a half hours of relaxing music to help you fall asleep.